The book features: * 40 tried and tested routes across the north of Scotland * From family-friendly outings to challenging adventures * Improved full-colour mapping * Photographs for every route * Printed and bound in Scotland For his latest publication, John has been visiting all corners of the Highlands, exploring golden beaches on the west coast and dramatic sea stacks on the east. He has been to some of the most spectacular glens and mountains in Scotland and enjoyed cycling on and off road in both popular and remote areas. He describes each route in vivid detail, sharing his experience and knowledge of the Highlands with readers, whether local or visitors to the region. 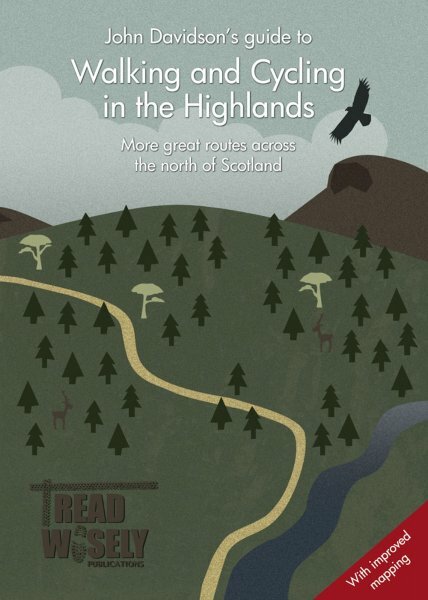 Every route is illustrated with John's stunning photographs which make you just want to get out and enjoy this wonderful part of the world - a place John shares his passion for through his regular Active Outdoors column for Scottish Provincial Press.